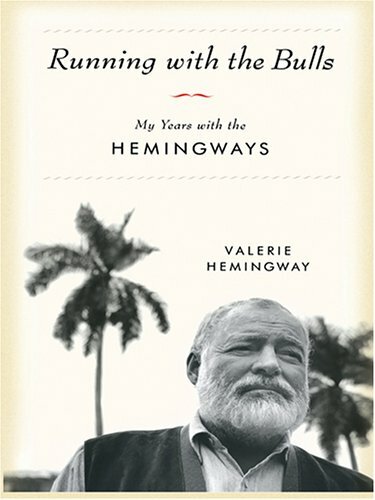 Hemingway Foundation proudly presents the Hemingway Birthday Celebration lecture with special guest, Valerie Hemingway and moderated by current foundation board member and former Writer in Residence, David Berner. A chance encounter in Spain in 1959 brought young Irish reporter Valerie Danby-Smith face to face with Ernest Hemingway. The interview was awkward and brief, but before it ended something had clicked into place. For the next two years, she devoted her life to Hemingway and his wife, Mary, traveling with them through beloved old haunts in Spain and France and living with them during the tumultuous final months in Cuba. Hemingway has evoked the magic and the pathos of Papa Hemingway’s last years in Running with the Bulls, published by Ballantine Books in 2006. The account of what she enjoyed, and what she endured, during her astonishing years of living as a Hemingway, Running with the Bulls fully captures the mystique of one of our greatest authors. As his secretary in Spain, France, and Cuba, after the author's death Hemingway worked for the Hemingway Estate in Cuba, Key West, Ketchum, and New York—gathering all of the author’s papers and organizing them for presentation to the Kennedy Library. She came by the Hemingway name by marrying—and later divorcing—Gregory, his youngest son. For two decades she worked in publishing and public relations in New York City, including two years as a fiction reviewer for Publishers Weekly. Her articles have appeared in Saturday Review, Ski Magazine, and Smithsonian Magazine.